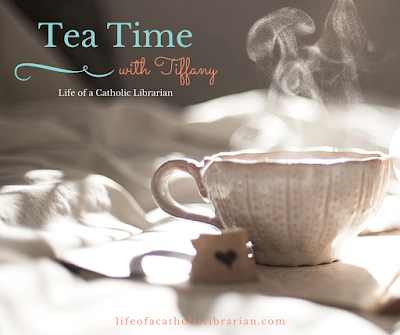 Life of a Catholic Librarian: Tea Time with Tiffany #95 - Summer blog planning! Tea Time with Tiffany #95 - Summer blog planning! Today I dwell on where I've come with Tea Time, as well as Life of a Catholic Librarian generally, and evaluate where we should go from here. Have ideas? Join me! Blog identity crisis post Part 1 and Part 2. Where should we go together this summer? Do you have any ideas for the Tea Time podcast and how I could freshen it as we move forward towards our 100 episode milestone? Let's chat in the comments! I like the current format of Tea Time but I understand the desire to change it in some way. 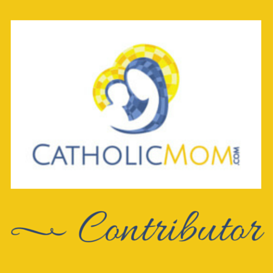 I've learned more about chaplets/novenas to particular saints by reading your blog. I knew they existed before but I hadn't really been exposed to many. So maybe a section on chaplets/novena/special prayers. Thanks for the feedback, Melanie! I like the idea of a specific faith/chaplet segment, though I don't know that I could plan for one every single week. Maybe once to twice a month? Something to think about! Summer book club poll is still open! The book club poll is open!